Here at Bridal Survival, we love our mums. When we grow up, we want to be just as wise, loving and beautiful as they are! So in honour of the upcoming Mother’s Day, we thought we’d explore our Mother’s Survival Kit available in the Bridal Survival online store. Mums are such an integral part of the wedding planning process. Whether you’re conscious of it or not, most mothers are just as stressed as the bride! There’s family to consider, dress fittings to attend, tears to dry and the thought of such a momentous day for their child. With this in mind as with all Bridal Survival kits, we headed to the experts for this kit- our mums! 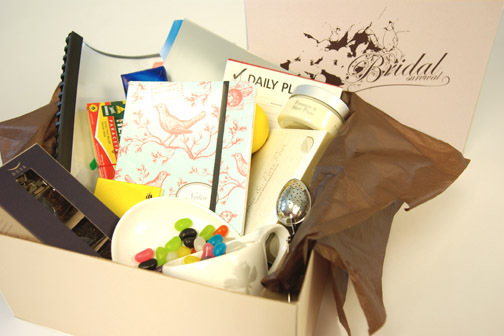 The Bridal Survival Mother’s Survival Kit contains all the things a mum might need to help her through the wedding planning process. 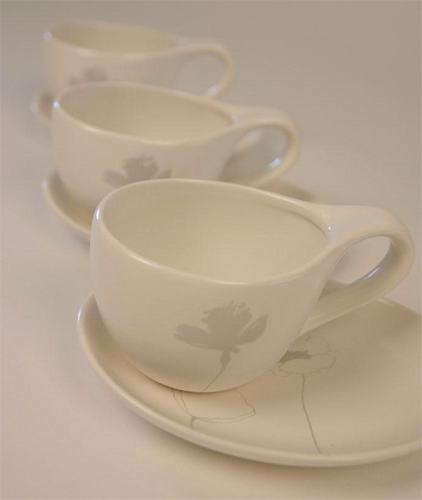 We started with this gorgeous porcelain teacups from Husk. Decorated with silver poppies, they’re beautifully elegant. When there is a teacup there must be tea, so included in the kit is a range of Husk teas (including herbal and green) and a tea infuser. Husk tea blends are free of tannic acids and preservatives and are beautiful to drink. To pamper mum, we included Freesia & Nori Pear intensive hand cream and soap set from Australian brand Pamilli. Pamilli triple mills all her soaps and they all contain beautiful essential oils. Pamilli is designed and manufactured in Australia which our mums love! We included a journal by Melbourne stationer Zetta Florence. We wanted somewhere for mums to be able to record their thoughts, write down wonderful memories and to capture the moments throughout the process. Finally, to really help mum out during the planning process. The Mother’s Survival Kit also includes, tissues (for those tears! ), paracetamol (we know there will be headaches! ), a stress ball (self explanatory! ), a “to do” list, a pen, sticky notes and a few other goodies including our favourite sugar hit- jelly beans! The Mother’s Survival Kit (designed by mums and created by us!) is a great gift for your mum this Mother’s Day. It’s available now in our Bridal Survival online store. What an amazing gift idea! I’m already married, but I am sooo going to tell all of my soon to be married girlfriends to have a look at this. Such a thoughtful way to say thanks to mom!! Nice article, thank you. I signed up to your blog RSS.